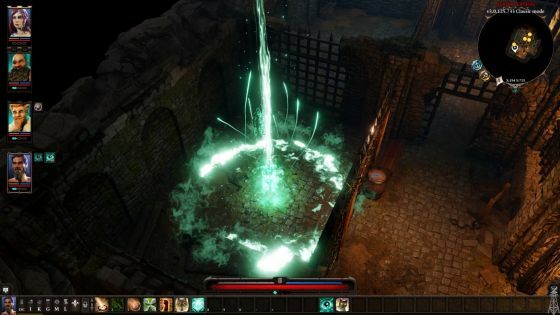 As Swen would be presenting at Twitch during the session we had with Larian Studios, the demo was presented by Michael Wetzel who is handling the PR for Larian Studios. As we have had quite a lot of information on Original Sin 2 at RPGWatch already, I'll try to focus on what is new, which basically means: The Undead. During character creation you can, next to the already known characters, also select an undead named Fane. Like the other characters, Fane also has its own origin story. Fane is an eternal being and has slumbered in a tomb for a very long time, in which he was thrown by his own fault as he didn't get along with the undead king. Recently an expedition located his tomb and freed Fane and to thank them, Fane killed them all, in order to regain some of his powers. Given the time he has been away from the world he doesn't really connect to it anymore and sees strange creatures walking around, some of them he shares some similarities with (skeletons), but they are much weaker than he is. Fane is a scholar and his mission is to find out what is going on in the world and find his own people again. Fane is like any of the other characters who have their own origin story and their own goals to achieve. If you prevent them from reaching their goals, they eventually will leave you and you cannot recruit them anymore. People don't generally like undead very much, so if you take Fane into a city and he hasn't hidden the fact that he is an undead, you will be attacked or people start running away. However Fane can wear masks that will make him look like someone from another race. It appears though that people do not have a memory for events like this. If Fane shows himself as an undead, people will run away and if Fane wears his mask again, the people will not remember that he was an undead before, but see him as they see someone from the race to which the mask belongs. To get these masks, Fane has a special ability, which allows him to rip off the face from dead people. When this ripped off face is combined with a source orb during crafting, a shapeshifter mask is created. Note however that source orbs are a bit scarce in the game and you might want to consider where you spent your orbs on as they are used for creating powerful runes for your weapons as well. Anyway, when wearing a mask of a specific race, Fane will actually look to everybody else as someone from that race, so he will look like a Dwarf when he uses a dwarven mask and everyone will see him as a dwarf. This can be done with every race. Fane also gets the abilities of that race. So if Fane would wear the mask of an Elf, he gets the ability that when eating the limbs of a dead person the memories memories of that dead person are gained. 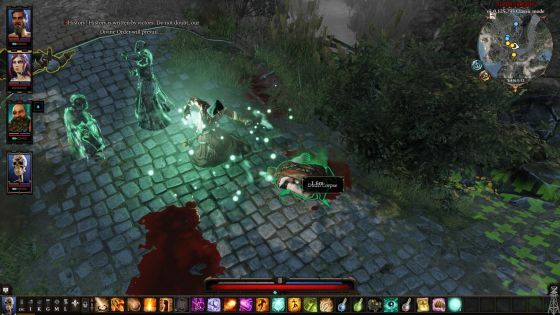 Another new feature in Original Sin 2 is that you can summon the spirits of the dead, from both people and animals. You can then talk to these people to ask them what happened. It was also shown to us that you can also talk to the spirit of a dead bull. As we know from Original Sin 1, a bull can predict the future. This ability requires a skill, but you will get it after finishing act 1. You can also kill people who were not willing to talk to you and then raise their spirits to find they now do tell you what you want to know. Note that even for dead bulls you need Pet Pall in order to be able to talk to it. In the demo Ifan ended up in prison and there are different ways to get out of there. One of them is that Ifan has a companion black cat he took along from Fort Joy. Those who've played it, know what cat this is. All it takes to have the cat as your companion is to keep it alive, which isn't easy. As it is a companion, it is possible to play as this cat. The cat is outside of the cell and everybody will just see it as a cat. By placing the cat in line-of-sight with Ifan, but out of sight of everybody else, you can swap places with the cat, which is one way to escape the prison. If you however want to keep the cat you have to free it later on. There are now a total of 6 selectable characters, each with their own origin story. There is the human Lohse with the voices in her head, The human Ifan who has a contract to complete, the lizard Red Prince who wants his kingdom back, Sebille the Elf who wants to kill her former master, Beast the Dwarf who wants to overthrow the queen, and now there is also the undead Fane who is searching for his own people. In Act 1 you can choose any of the available characters to join your party. You can change your party configuration as often as you like until you have a combination that suits you best. At the end of Act 1 you have to make a final decision of what your party will look like and you will continue the game with those 3 party members. If your party members don't leave you because they can't achieve their own goals or because they very much disapprove of your decision, you can even decide to get rid of all party members and venture on alone. For that you should pick up the one-army talent, which makes you stronger and hire henchmen for the fights that you cannot complete on your own. 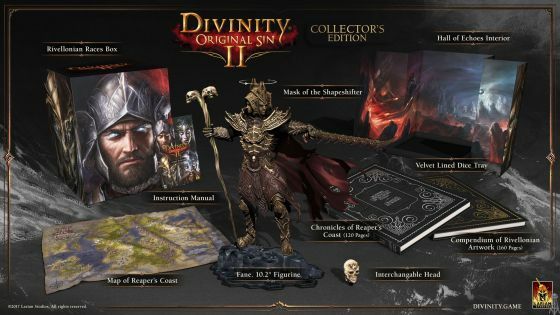 As mentioned we have been covering the development of Original Sin 2 for some time already, so there is quite some information available already. If you haven't seen the latest video, be sure to check out the one below. 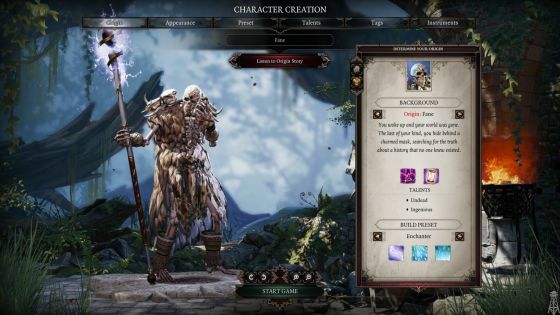 With respect to Original Sin, Original Sin 2 looks a lot better, adds more tactical combat with more elemental combinations, a party of four, with unique characters and adds a much deeper experience (from what we know up to now). It also allows for a 4 person co-op and if you don't like that, you should not worry about it. Divinity: Original Sin 2 is a solid single player RPG that doesn't need any co-op to enjoy it. And here is a B-roll showing visually what has been discussed in this article and as all B-Rolls go, it does show some spoilers.